Livin' La Vida Loca was written by Robi Rosa and Desmond Child. Please Note: I have used 2 x B chord voicings. During the verses, the B chord (7th fret) is more in keeping with the steady flow of barre chords up the neck. During the choruses it is probably easier to play the B chord (2nd fret) as there is less distance between chords. Born: Enrique Martín Morales on December 24, 1971 in San Juan, Puerto Rico. 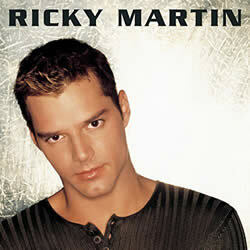 RICKY MARTIN chords and lyrics are property and copyright of their owners. "Livin La Vida Loca" chords and lyrics are provided for educational purposes and personal use only.